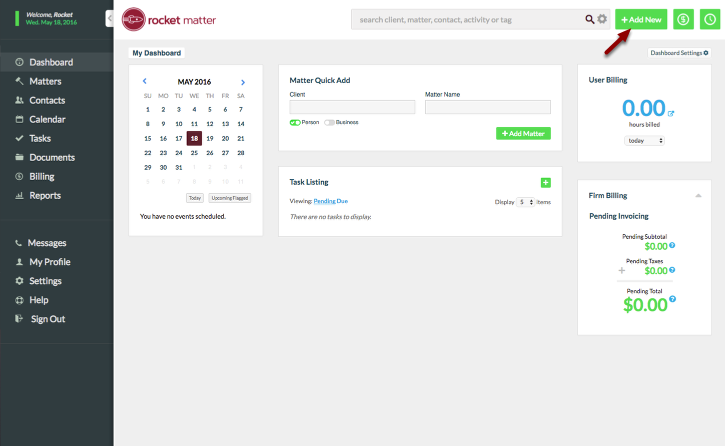 Rocket Matter offers unlimited Document storage. Documents are linked to a specific Matter, and are uploaded to Matter Documents. 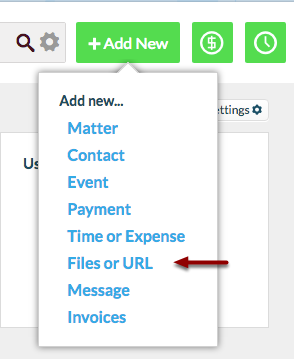 You can store many types of items within the Matter Document section, including files, urls and videos! 1. Click '+ Add New' from any Rocket Matter location. 2. Select 'Files or URL'. 3. Enter the 'Client: Matter' name that you want your document tied to. 4. 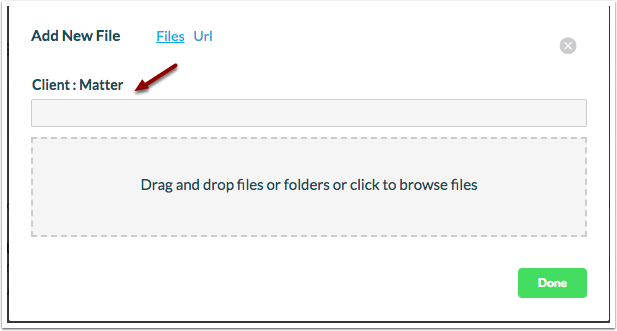 'Drag & drop' your file onto the page or click to browse files. When file uploads, click 'Done'. 5. 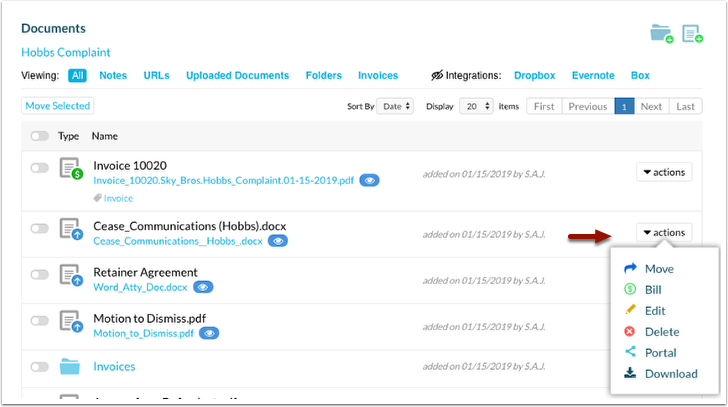 View your stored document in 'Matter Documents' and select additional actions if desired. Prev: How to upload a document template. 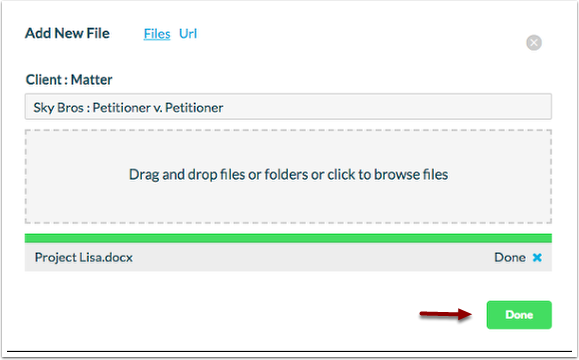 Next: How to download and preview Matter Documents.